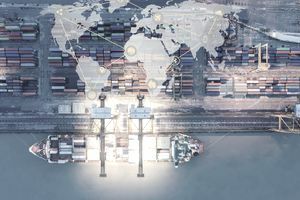 The International Reciprocal Trade Association (IRTA) says it's difficult to tell because most barter transactions don't get recorded. But the IRTA says barter is in the 12 to 14 billion dollar range. About half of this amount comes from traditional retail barter exchange companies and corporate barter. A barter exchange is an organization that serves as a third party to coordinate barter transactions between members of the organization and as a bank to keep track of the value of barter transactions and the value of each member's account. Barter exchanges provide a monthly accounting for each member and year-end tax reporting of barter transactions. Barter exchanges charge an initial membership fee, a transaction percentage, and a monthly maintenance fee. Some barter exchanges also charge a monthly fee to "stock" the account, to encourage buying and selling. Barter Exchanges: Local or Online? Record Keeping: Exchanges serve as the bookkeeper for barter transactions, which is helpful to the members. Exchanges use their own trade dollars, to bank (keep) money for businesses that don't have an immediate place to spend it. For example, let's say someone wants to barter with you for your consulting services. You can bank the barter dollars you receive, but you don't have to spend them immediately. If later you find you need a website done, you can use the barter dollars you earned earlier. Tax Reporting: At the end of each year, the barter service provides a record of the fair market value of all income you received from transactions, on a Form 1099-B. You will need to keep track of expenses related to your bartering transactions, to use them in your business tax return to offset barter income you have received.